At the Mashable Conference, I enjoyed hearing the latest update from Carie Lewis about her organization's experience in social media crisis mode and the recent controversy with Michael Vick. She was able to clearly demonstrate the value of listening and engaging. Carie has proposed a panel at SXSW called "Let the Haters Hate" (and while you are voting for Carie's panel, consider casting votes for these nonprofit panels). I caught up with her to get some tips on managing angry people. Given that you are on the front lines, what do you when people say bad things about your issues? I fight the urge to argue right back. As much as I want to when someone's bashing the organization I love, I refrain from being defensive because that will only fuel the fire. Also, I try not to take criticism and mean words personally. How do you know when to respond and when to brush it off? I step back and assess the situation. I look at 3 things. 1 - tone. What is the severity of the person's tone - are they totally negative, neutral, seem like they could be talked to? 2 - influence. How many followers, friends, subscribers do they have? If it's a blog, what's their technorati ranking? How many people are they really talking to? 3 - frequency. Is this a standalone argument / complaint or does there seem to be a trend brewing? Is it the usual suspects or does this person seem to be gathering a following? I look at number of retweets, comments, etc. How do I leverage the people who are saying good things about my brand? I have set up extensive monitoring tools for my organization and brand. I respond to people who say positive things about our organization or retweet them often. I put them into a group or spreadsheet so I can keep track of them. I engage with them often, even if its not about my organization. Then, when it comes time for me to call on them for help, they'll want to. How can do you turn a negative experience into a positive one? Again, have extensive monitoring tools in place. Most people who complain about you don't even know you're on twitter or reading their blog. When they do, write them and tell them who you are and ask if you can help. You'll probably be able to tell right away if you'll be able to make things better. Not everyone is; keep that in mind. But it doesn't hurt to try - many people are really happy to hear from someone. Find out the root of the problem. If you can't fix it personally, or right away, tell them you're working on it. Keep in constant communication until its been resolved. Stay positive and respectful - as hard as it may be! What are your tips for managing angry or disgruntled people online? Note from Beth: Several weeks ago, I published a guest post by Geoff Livingston called "Creating Movements." 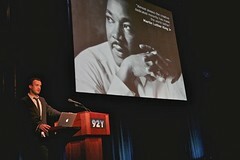 where he discussed the crossroads of movements and campaigns and the need for an open culture. 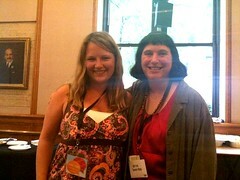 The post and ideas resonated with Holly Hight, a field organizer for Bread for the World. We got into a discussion in the comments and she agreed to share some of her experience addressing this issue within her nonprofit organization. Our nonprofit is not unique. Over the past five years, we’ve stumbled our way into social media. We’ve listened to our supporters online and attempted authentic engagement with various social media platforms. While a large percentage of our organization can articulate the importance of being on Facebook, very few staff can grasp how these tools will help to achieve our goals: greater awareness and involvement in the broader movement to address hunger. 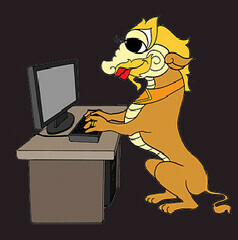 Our use of social networking has exposed many cultural differences within our organization. I am part of a large group of staff within our nonprofit that interacts with our supporters on a daily basis. It’s my job to listen to our members and empower them to get involved. Naturally, my colleagues and I have taken the lead in establishing our organizational presence on sites like Facebook, Twitter, Ning and posting to our blog. It is obvious that our skills directly translate into establishing an online presence. We know what our supporters like, need and want. In contrast, a large segment of our organization rarely interacts with our supporters. They are tasked with the important work of research, creating our policy agenda and providing strategy for legislative campaigns. Despite their distance from activists, their work is why our organization is trusted and respected in our field. Policy and research staff have a different culture than those of us who work directly with individuals on the group. These two differing cultures recently came to head over social networking. For an entire month, our organization was working to move forward a bill in Congress. We called on our network to take action with emailed action alerts, phone calls and posting messages on Twitter and Facebook. The response was positive, but near the end of the month many of our supporters were getting very tired. They had made a phone call, written a letter, sent an email, blogged about it and, in some cases; they had even met with their local representative. A companion bill was introduced around the end of the month and in large part because of the efforts of our advocates. I was excited to inform our supporters about the bill, so I, along with a few other folks on staff, posted message to our Facebook and Twitter pages asking people to take action on the bill. Our supporters even picked up the message for themselves, particularly the people who worked hard for this bill to get introduced. Unfortunately, we were reprimanded for not being “on message” with our policy agenda. (The person who scolded us is not even on Facebook!) I was asked to “control the message” of our supporters online, who were already spreading the message virally. My initial reaction was one of anger. But I calmly responded with an email that lifted up the excitement of our advocates on sites like Facebook. Hearing about the bill from us first increased our legitimacy and built the relationship with our network. I argued that it’s important for us to offer multiple paths of engagement and thank our supporter when their actions have a result. For our tired supporters who had tried everything on our other piece of legislation, this news was a breath of fresh air! After this incident, we started to reflect on how our organization can move beyond its greatest fear of losing control and embrace social media? First, we need to move beyond the false dichotomy of message control vs. conversation. There’s a prevailing belief that you can’t foster conversation and get a message out. Social media teaches us that the best way to get the message out is to foster conversation. Conversation leads to ownership; ownership leads to creativity, and creativity leads to collective action. We are taking a few steps in this direction, primarily by challenging our internal culture of message control and creating space for conversation across departments. We’ve formed an eCommunications Taskforce that includes representatives from every department. The group will discuss our overall strategy with our online presence and establish guidelines for social media. My department will facilitate a workshop about creative uses of social media to achieve our organizational goals. Adopting social media goes beyond getting your organization to be active on Facebook or Twitter. It starts by transforming a top-down culture into collaborative environment that listens, engages and involves its supporters. How are you changing the culture of your organization to embrace social media? Holly Hight is the California Field Organizer with Bread for the World. I was honored to speak at the Summer of Social Good conference hosted by Mashable, a popular social media and technology blog and a big geek favorite. This was the culmination of the summer long initiative to help raise money for four charities, Humane Society of the United States, World Wildlife Fund, Oxfam, and LIVESTRONG. The event was hosted by the amazing Shira Lazar who currently hosts Mahalo’s This Week In YouTube and is the Editor-At-Large for CondeNast’s Jaunted.com travel blogging from around the globe. I didn't realize this, but she is also the founder of the The Society For Geek Advancement, which aims to bring together geek culture for social good. Randi Zuckerberg of Facebook delivered the opening keynote. It covered many examples of how people were using Facebook for online activism as well as how nonprofits were using it for fundraising. She also included some practical advice. I've heard Randi speak a couple of times, including this informative webinar hosted by NTEN. The big news for me was news about virtual gifts for charities. Facebook is piloting virtual charity gifts to users, the proceeds will support micro-lender Kiva, Project Red, the World Wildlife Fund and Toms Shoes. The feature may also open up more broadly after tested. 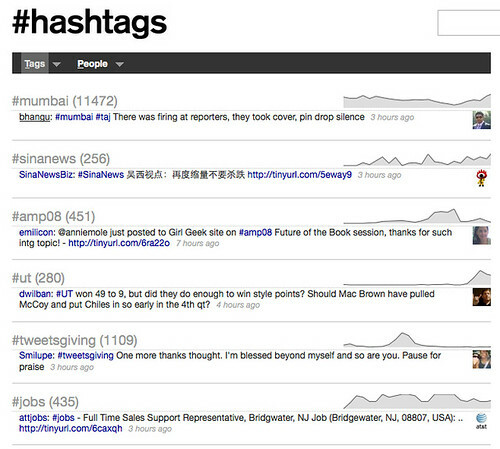 Be a little less "formal" and try a few fun updates and other content that sparks conversations. Randi suggests that having a personality is an asset. Use video. Groups that post video on their fan pages are typically able to create more personal messages. And those messages are more likely to be shared with others. Tag liberally. Take pictures at events and post them to their Facebook pages. When they post the images, they should tag the people in the photos — a process that notifies those who are friends of the people that they have been tagged in a photo on a charity’s page. Those notifications draw more traffic and, in turn, more supporters, to a charity’s page. Incorporate Facebook into your events. If you have a special event, make sure you invite your Facebook fans to the party, too. You’ll probably attract more people — and Facebook will tell all of their friends that they are coming to an organization’s event. Skeptics in the audience tweeted about the limitations of tool-centric campaigns or wondered if, at the end of day, there was any on the ground social change. Was it all hype? The morning included a speech by Kari Dunn Saratovsky who talked about offline/online connections as well as some of the challenges that charities face such as cause fatigue and slacktivism. She also mentioned that the Case Foundation will be doing the giving challenge for a second time, so stay tuned. She asked the big question: Is all this making us smarter philanthropists (and organizers and leaders)? Folks like Brian Reich are skeptical. Toby Daniels, from Think Social, who was called in at the last minute, did a fantastic talk. Best of all, I got to finally meet him and Scott Harrison from charity:water face-to-face. (Check out this post by Toby over at Think Social about storytelling using charity:water as an example.) There were also presentations about Global Giving and Causecast. The nonprofits Humane Society of the United States, World Wildlife Fund, Oxfam, and LIVESTRONG each gave excellent presentations on how their organizations are using social media. I enjoyed hearing the latest update from Carie Lewis about her organization's experience in social media crisis mode and the recent controversy with Michael Vick. She was able to clearly demonstrate the value of listening and engaging. More details about the nonprofit presentations at the Nonprofit Bridge and Chronicle of Philanthropy. See more of David's conference photos here. Next was the "Social Media for Social Good" segment. I kicked it off with a talk titled "Be a Generous Geek" which was about the many ways small actions (online and offline) can make a difference, sprinkled with a few stories that were featured in Shel Israel's Twitterville and Chris Brogan's Trust Agents. Next up was colleague Geoff Livingston who talked about building movements (see his slides below and read more here). Next was Scott Henderson who presented a case study about his PledgeforHunger project. Our segment ended with an amazing talk by Drew Olanoff (you can read about his work here). I'm definitely in on the blameathon on September 9th. View more presentations from Geoff Livingston. The event ended with a marriage proposal and a lot of geek excitement over social media for social good. There were also some voices of skeptics asking the big question on how to channel this energy and excitement at the awareness level to bring about real change both online and offline. What I saw at this conference, was a youthful enthusiasm for generosity, and the desire to do something, but perhaps there is a need for sharing of best practices and techniques beyond the tools. There is a great opportunity for generations of philanthropists, organizers, and community leaders to enrich each others learning. Note from Beth: I invited Stephanie to publish her blog post about the network evaluation discussion we had with Michael Quinn Patton yesterday. If you have thoughts, please join the discussion over here. Today some Packard Foundation staff who have been thinking about network effectiveness, plus our visiting scholar Beth Kanter, got to chat with evaluation expert Michael Quinn Patton about evaluating networks. 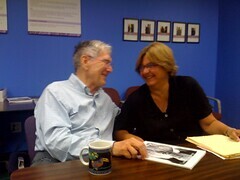 Our Evaluation Director Gale Berkowitz invited Michael to spend a day at the Foundation while he was out on the West Coast. Michael has a nice story telling approach to sharing his thinking. I think the stories belong to his clients, but here are my takeaways. Our discussion followed along this frame. We talked about the realities of network ebb and flow. Organizational Effectiveness Program Officer Kathy Reich mentioned that we get the advice “build your network before you need it”. And Michael pointed out that sometimes networks will hum along at a lower level of activity, doing no more than sharing information e.g., tracking state court cases to predict when the issue could become a Supreme Court case. While the network is just “networking” or is engaging in basic activities it is building the trust needed for the network to activate, moving into campaign mode to solve something. He also talked about how sometimes there are subgroups of effectiveness within a network. When it is time to mobilize the network it may need to get smaller, leaving behind outliers who have a hard time functioning in a network. Michael has heard funders criticized when they are slow to support a network’s activation; requiring extensive proposal work when the network is responding to the rapid emergence of an opportunity. Just when network members should be devoting their attention to the window of opportunity they get bogged down in a time consuming proposal process. Could foundations get money out faster to already trusted partners? Another essential network function is to watch for a window of opportunity for activation. So an early task is to create a shared vision of that window of opportunity. Would it be a new health minister? a disaster? front page headline about the issue? Other networks focus on creating a window. 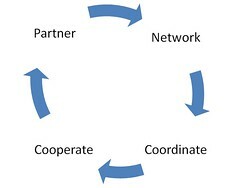 Sometimes after intense outcomes focused action the network will settle back into just networking. Some networks stay vital with scenario planning - what could go wrong? In addition they conduct drills. (that is what firefighters do; they drill and practice so they are ready for a fire) Others become a listening, or as Beth said - sensing network. We tried to figure out the axis for a two dimensional grid. We came up with something familiar. One axis would be the extent to which there are identifiable outcomes. You could ask; how close are network members’ description of their shared purpose? The other axis would be process. Where are network members on process issues; relationship, trust, and understanding of each other’s niche. This reconfirmed for me why social network mapping is tool that can be used for network evaluation. Process questions include the frequency of use of the network, who you go to get information, how important the network is to you vs. other things, how much do you trust the information you get from the network. The questionnaire could include questions that get to alignment on the purpose and hoped for outcomes also. I came away convinced that we funders and network participants should be patient in our networks, and I am curious about work that has been done on network life cycles. Feel free to share your ideas here. 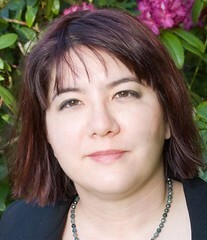 Stephanie McAuliffe is the Director of Human Resources at the Packard Foundation. What do Maori and Gourma Creation Stories Have In Common With Social Media? Michael Quinn Patton, an evaluation guru, visited the Packard Foundation yesterday. I participated in a lively exploratory conversation about "How do you evaluate network effectiveness?" along with others on the Packard Foundation organizational effectiveness team. I also had an opportunity to hear his thoughts on the state of the evaluation field, how it has changed and get a deeper understanding of developmental evaluation. Michael Quinn Patton uses metaphors and stories to talk about evaluation in everyday language. He is a genius at connecting evaluation to other people's contexts. As a result, I had several "ah ha" moments and found a couple of connections for thinking about social media strategy - especially how we address culture change, social media measurement, ROI and the whole larger question of social media for social good. By way of this post and video, I'm sharing some of Michael Quinn Patton's thinking about evaluation. I invite you to share your thoughts and reactions in the comments. Patton has written several books on the art and science of program evaluation, including Utilization-Focused Evaluation (4th ed., 2008), in which he emphasizes the importance of designing evaluations to insure their usefulness, rather than simply creating long reports that may never get read or never result in any practical changes. This is one to definitely add to the plane reading list and a theme of my talk at Mashable Conference on Friday. I'm not an evaluation practitioner, so I wasn't sure exactly whether there would be any connection to my work in social media. What I discovered, is that through his engaging storytelling, I got inspired by evaluation. As Patton shared with us, the field of evaluation is dynamic. When he approached updating the fourth edition of his book, he thought it would be just about updating the stories. In the course of writing the book, he realized the field had changed. Most noticeably in the rise of cross-cultural, international evaluation program work. The question of how to adapt evaluation methods to other political and cultural systems in developing countries was big challenge because evaluation, over the past three decades, has been deeply rooted in the Western ways of thinking. The above story is a metaphor for the traditional summative approach to evaluation - create something, then evaluate it's impact, but don't change the program. He pointed out that this was very difficult to apply to programs in developing countries. He realized it when started to look at creation stories in different cultures. In the beginning, father sky and mother earth - embraced. Such a fierce embrace - only darkness was in between them. Children were born into this space but they became unhappy and plotted to push the parents apart. It became clear that they would have to join together and need the strength of the oldest. A lot of bickering followed and failed attempts by the younger siblings. Having observed failed attempts, the oldest said said they would have to put their backs into it - back against father sky and feet against mother earth. The push the parents apart. Father sky was crying - and that became rain. Pushing apart parents, had exposed the nakedness of his mother. He began to plant trees to hide her body. They had never planted a tree before. First they tried roots in the air, leaves in ground. It failed. They tried laying them on the ground. Finally they succeeded by planting the roots in the ground. They then grew forests and the eldest child became the god of the Forrest. Patton points out that they were not sure what they were trying to get too. They didn't know what a forest looked like. They had a general sense, but had to go through a listen, learn, and adapt process before getting it right. This is the essence of developmental evaluation. A group of people like Adam and Eve were there in the beginning. In the mist, a grass hut appears with no doors or windows. They surround the grass hut. There are noises and they are frightened by it. They spend the day debating - and end up not doing anything because they can't decide. Frozen by fear, they go to sleep. The next morning, the hut is there. The noises continue. The uncertainty is making them crazy. They love the place where they are and they don't want to leave. They decide they have to open up the hut. They cut a door. Out comes the clan, the medicine people who have knowledge. They thank them and share their wisdom. Developmental evaluation involves asking a lot questions. This story is about the scariness of asking questions, looking at a program, campaign, activity and ask are we prepared to learn about it? Do we stay in that place believing it is okay? The story is a metaphor about the fear of asking questions and the knowledge that comes with it. I also see this as a metaphor for the fear of engaging from social media. What if we get a negative comment? What if we loose control? That fear keeps nonprofits from engaging. Evaluation needs to be relevant and meaningful. It isn't a horrible alien thing that punishes people and makes judgments. Evaluation should not be separate from what we do. We need to integrate evaluation thinking into our everyday work so we can improve what we're doing. Evaluation is not an add-on task. Need a culture of inquiry, sharing what works, what doesn't. A willingness to engage about what to do to make your program better. Evaluation is not about getting to a best practice that can be spread around the world in a standardized way and to answer the question, "Is everyone following the recipe?" Program development has to be ongoing, emergent. It isn't a pharmacy metaphor of finding a pill to solve the problem. Real-Time Feedback/Evaluation is different from development evaluation which is directed towards a purpose to do something. Police use real-time evaluation to allocate their resources. For example, if crime increases in a neighborhood, they know how to allocate patrols. Developmental evaluation speeds up the feedback loop. The framework assumes that networks can move up or down through these phases. The question is when do the networks move to these other levels? He talked a lot about ebb and flow - that a network could be doing "information sharing/networking" and that you can measure it by looking at how people are connecting and their trust. The connection here for me about social media is the notion that it isn't just a "campaign" - where you flip on or off switch. It's about this ongoing building of relationships with the people in your network. What you measure is engagement and trust. Also, there is a catalytic moment when the network needs to scale into coordination or collaboration to take action. He describe how some networks work while in the "networking" phase - they imagine different scenarios or "fire drills." Another metaphor was disease - going from chronic to acute. He also mentioned the importance of someone playing the role of being a network weaver who captures the lessons/stories in real-time. Someone who doesn't own the purpose. Evaluating network effectiveness looks at two different criteria. Outcomes as related to purpose. Is the network focused on problem-solving, networking, connecting fragmenting programs, a campaign, sensing network, etc. The other criteria is process - what are the tasks and processes. What connections are you making between social media and the thinking of Michael Quinn Patton? On the way to taking my kids to the Montery Bay Aquarium a few weekends ago, we stopped in Santa Cruz to have some fun on the Santa Cruz Boardwalk. 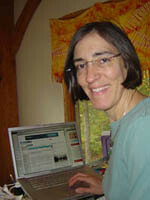 My colleague, Nina Simon, who writes the Museum2.0 Blog and is a Santa Cruz local, joined us. We know that social media inspires fear. What's out there in the darkness that might catch us off guard? The way to get past fear of uncertainty is to deconstruct it. So, what better metaphor for this is to deconstruct the scare house by riding it with an expert in participatory exhibit design? The first part of the video is the actual ride through the scare house which lasted all of two minutes. After we finished, I interviewed Nina about what was and what was not scary. So, why not take that same approach to deconstructing social media concerns? A counter-intuitive tip for mastering change is to start by wallowing in the feelings of dread it arouses. The sheer nail-biting horror of it all. Get in touch with every negative aspect, all the things that could go wrong. Then figure out a way to get that negative force on your side. In short, "Dream your worst nightmare and invest in it." I think this is the key to adoption and social media success. To create your social media guidelines, examine the worst possible scenario, ask what if questions, wallow in all your fears, etc. I call this putting a smiley face on the screamer. How has your organization worked past fear of social media? Note from Beth: Last week, I hunted down the nonprofit panel proposals for SXSW including one submitted by me on crowdsourcing social change (see the NTEN blog post). There was a panel on slacktivism which caught my eye and later I spotted this post by Ali Cherry unpacking the concept posted on the Beaconfire Consulting blog. She graciously allowed me to republish the post. 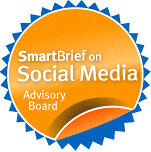 While it’s not a new term, a few months ago, “slacktivism” became the topic of a firestorm debate among nonprofit advocates, online marketing professionals and social change proponents after a series of media stories including an article by Warren Clements of Toronto’s Globe and Mail, “A slacktivist and his crackberry are seldom parted.” The fire doesn’t seem to be going out any time soon. So do “click actions” like signing a petition and becoming a Facebook fan actually make a difference? We want to get the best and brightest in a room at SXSW and go at it. Help us out and vote for our panel “Can Double-Clicking Change The World? Slacktivism 101″, leave a comment and come to SXSW in March to join the debate with Jacob Colker (Co-Founder and CEO of The Extraordinaries), Premal Shah (President of Kiva) and Jason Cooper (Online Coordinator at Kaboom.org). And in case you’ve missed the debate, I’ve done some of the reading for you…in the true spirit of slacktivism. Don’t forget to vote for our SXSW panel “Can Double-Clicking Change The World? Slacktivism 101″. Note from Beth: You can vote for more than one panel. So, why not lift the collective voices of nonprofits and leave some votes for these other awesome panels while you are there. Ali Cherry is the Online Campaigns and Marketing Director at Beaconfire Consulting, where she helps nonprofits grow their supporter networks, enhance engagement and convert donors. Mashable, a popular social media and technology blog and geek favorite, has caught the generosity meme with its Summer of Social Good, an initiative that raises money for the Humane Society of the United States, World Wildlife Fund, Oxfam, and LIVESTRONG. As we reach the final days of summer and folks head back to school, the Summer of Social Good will have its last hurrah at the Social Good Conference on Friday, August 28 at New York’s historic 92nd Street Y. (I'm honored to be speaking). If you cannot attend the event, please be sure to check out their post, “5 Ways to Support the Summer of Social Good,” which includes opportunities for donating without spending any money. Donations close on August 29th, 2009. Mashable has also been featuring topics on how activists, fundraisers, and charities can use social media as part of their strategy. Almost ten months ago I launched Spot.Us via a Knight Foundation grant which is trying to pioneer “community funded reporting,” the act of distributing the cost of hiring an investigative journalist. In short: I fundraise for independent reporters but not through foundations or grant writing. Spot.Us fundraises by making the argument to the public that this reporting will benefit us all. If we can get 30-50 people to donate $20 each around a specific topic – we are in business. It’s often called “crowdfunding.”I grabbed the term (and the concept for Spot.Us) while I was the research assistant for Jeff Howe who coined the phrase “crowdsourcing.” While working on the chapter about crowdfunding I began studying Kiva.org, Donors Choose, Sell A Band and other organizations exploring this space. In many ways Spot.Us is my interpretation of the practices and principles they were employing for journalism. So what are those practices and principles? What are the concrete lessons, mistakes, ideas I can pass along to others who might want to join this space? In truth there are countless lessons every day. But here are a few that stick very prominently in my mind. Make sure all your ducks are in a row before you launch. It’s a natural inclination to launch the fundraiser the second you have the idea. We’ve done this on Spot.Us too many times. We always find that when we take the time to get our messaging, goals, and deliverables in a row first, we do much better. A good example of this is the City Budget Watchdog series on Spot.Us which has raised $3,785. That series was originally called “City Budget Blues” and if you watch our quick video pitch you’ll see remnants of that title. It was only a week or two in that we realized our messaging was way off. “City Budget Blues” was a bit of a downer and while very on point wasn’t tied to the goal of the project – to be a watchdog of city hall at a time when others weren’t acting as the watchdog. Make sure you’ve accounted for. Messaging: Make sure all parties involved know the messaging. From the donor perspective transparency means something else. It means you know exactly where your money goes. What’s the difference between donating on NPR and donating on Spot.Us. The images below should make the case apparent. And NPR has even improved recently in letting a donation be more transparent and accountable. Now imagine if both of these donations were for NPR. 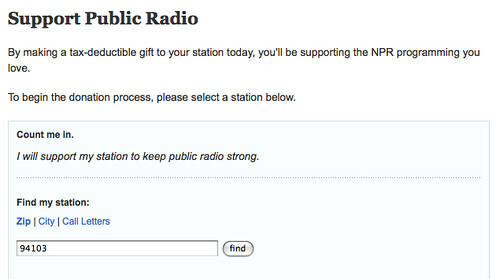 In one case NPR would let you donate to the organization or a specific NPR affiliate near you. In the second case NPR would let you donate to a specific story. You’d have a bunch to choose from and you could pick the one that meant the most to you. Fundraising is nothing new. People have been doing it for as long as…. well…. people. What the Internet has allowed is a transparency and specificity in the act of fundraising that turns a donation not just into a “good feeling” but a statement and value judgment about who we are as individuals. It can be fun. The best Spot.Us pitches are those that give the donor that sense of ownership. Have Something to Cheer About. In one of our more successfully fundraising examples we caught the attention of a local blog that covered crime in Oakland. Excited about the work we were doing they asked if they could send out an email blast to their list of 500+ about the reporting efforts we were undertaking. It worked out well – raising a few hundred dollars and spreading through a few other email lists eventually propelling us to our goal within 12 days. What initially caught their attention? A single Tweet I had done about a single blog post from the reporter. The blog post was just an update about their reporting efforts. Some might have even thought it mundane. But it gave us something to cheer about “hey – look at this, the reporting process in action.” Giving updates along the way, big or small, gives people something concrete to examine. Many people will not donate the first, second or third time they hear about a fundraising effort. According to Robert Greenwald of Brave New Films it takes on average seven asks before somebody will become a donor. Okay – so how can one ask seven times without sounding redundant or annoying? Don’t make a direct ask: Just tell the story of your progress. Be a cheerleader and that does the asking for you. In many ways Spot.Us is always trying to tell two narratives. The story of our pitches (the reporting) and the story of our site and the pitches (their progress). What are some interesting aspects of telling a story? Getting new and interesting characters. That’s where partners and collaborations can be huge. It’s easy to want to partner with everyone. Hey, if you can just convince a few dozen people to join you right off the batt you’ll have some good momentum and coalition building can get lead you to think that everyone is a potential partner. That isn’t the case and assuming right off the bat that your project will be valued by other organizations is a mistake that will jump back in your face. It certainly has for me when approaching disenfranchised communities. Even with the best of intentions other organizations, especially media organizations (even alternative ones), are viewed as with suspicion. Partnering doesn’t happen at the drop of a phone call. What should you look for in partnerships? Here are the things we’ve found we need for all partnerships. Trust – we want to work with folks that we can trust and who trust us. The collaboration should be in the interest of all parties. “Buy in” with decision makers. They need to be on board otherwise it will hit the fan later. Key liaison – somebody from every party who is tasked to the project. Commitment of time/resources and/or money from both parties. It does not need to be all three. Money: Yes, it is the root of all evil, but a little money can grease the wheels. A commitment from each partner to try and fundraise x amount also works. The story/project. We are looking for good stories – that has to be at the heart of it all. When you do find the right partner it can go a long way. Especially if you are able to land a big partnership. One article in the NY Times can raise upwards of $6,000. One newspaper many checkbooks. Another central character in the narrative of your fundraising, what you can cheerlead about, is your growing community. These are your heroes. “I aint too proud to beg” was always a great quote (The Temptations). But that means you “aint too proud to thank” everyone and anyone. No donor is too small. You’d be amazed at what can happen when you give just a little attention to the smallest donor. The more personable and personal you are the more one-time donors become partners. On occasion you might get a member of your community who will help cheerlead with you. 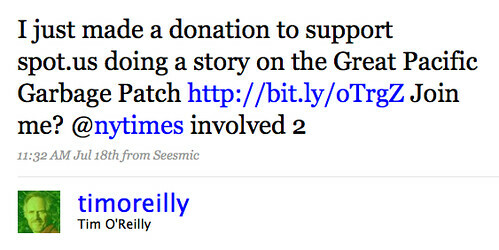 This one Tweet from Tim O’rielly brought in several hundred dollars within a matter of hours. You don’t have to be the only cheerleader. Other people can join you – but they’ll only show as much enthusiasm and passion as you do. Somebody has to wrangle the project and lead by example. Don’t confuse the medium and the message. Sure, it’s great that we can fundraise for independent journalists on a custom built site like Spot.Us. But we could also do it with a simple ChipIn widget. That’s right: Spot.Us started 10 months ago using JUST a wiki. It was free to setup. We used a third party site, The Point, to collect money. There are countless sites that will collect money on your behalf. Facebook Cause, Kickstarter, First Giving and more. Rather than build an entire system yourself use whatever is already out there. You might also check to see if there are any sites that work around your specific niche like Donors Choose for teachers. In summary, my lessons learned include: a specific ask, concrete deadlines, celebrate your successes, get your community to do the cheerleading and start simply -you don't need to do everything. I can't wait to see the new TechSoup on Monday, can you? View more presentations from Marnie Webb. Here's a note from Marnie Webb on the TechSoup blog about TechSoup's makeover that will be debut on Monday. They're not taking a big bang, flip the switch approach, but doing it in phases. Marnie's deck is a goldmine of information about site redesign. Thanks so much for sharing it! What can we learn from movement builders who built movements before there was Facebook? Earlier this month, I hosted a series of guest posts on the topic of Movement Building and Social Media. Karin Pritikin, who I met in Chicago in June and works for Health & Medicine Policy Research Group, reached out to me to share some of the "hallway conversations" taking place in her organization about movements and social media. Her organization was formed 27 years ago by an activist group of clinicians, social scientists, health care executives and policy analysts to advocate for health equity and improved public health. The organization's founder, Quentin Young, has a long history of organizing and supporting movements using low tech tools like mimeographs, bullhorns, placards, shoe leather, sweat (sometimes blood) and public convergence spaces. Karin noted in an email to me, "We often talk about how Facebook Fan Pages and tweets reach people quickly, but we wish their was some way to bottle the "grit" of some of the earlier, more visceral methods. Karin posted some snippets of conversation on the Health & Medicine Policy Research Blog that I'm sharing here.
. Other fascist leaders were rising to power. These events, and later, World Events like Peal harbor were powerful motivators. Though one dominant force that moved us to action was the race issue. played a role in the way our “movement” grew. College students recruited youngsters, exploited our youthful zeal as they exposed us to the issues of the day. We connected largely via meetings, not unlike today’s meetings they had fairly versatile formats: sometimes a well-known speaker or someone with special knowledge or credibility about an specific issue, sometimes in large auditoriums, sometimes smaller rooms. There were other organizations fighting fascism in the city, and other youth organizations in neighborhoods on the north and west sides. Occasionally we joined with them for larger conferences, but we focused on building awareness within our own communities. We distributed literature, leaflets. We had newsletters. We spoke publicly. The tools available for mobilization were primitive. What does he think is different today? 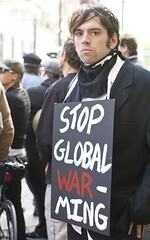 In the 40s, 50s, 60s and 70s action took place at meetings and demonstrations. Today’s media (TV/DVDs/MP3 players/The Internet and now social media) has transformed where people are and live. People stay in their homes and connect using these new social medial tools and channels. That is where they are. There is less physical outward direction. The action people take now is different. The recent demonstration and sit-in over the proposed closing of the Republic Windows plant attracted attention and resulted in action, but it wasn’t attended by many people and it petered out quickly. Today you learn about an issue online, or from a blog post, or an email someone has forwarded, and you take action by “clicking here to donate” or by “emailing your congressman” or by forwarding the link to your friends and mobilizing lots of people to e-blast an organization or an elected official to express your ideas. Our organization, which Quentin founded in 1981 with John McKnight, used to write long policy papers, really meaty 50 page documents that were read by no more than 50 of our collaborative partners. These days we’re evolving toward much briefer messages, distilling issues and action steps into much shorter form/format. There is a new movement building model emerging. As a policy organization, we still use face-to-face meetings to address issues/inequities and develop solutions. This development of policy is not the movement building part. Movement building takes place as we use new media tools to mobilize interested people to make decisions and take action on these highly specific issues. The issues that we work on are emblematic of the larger social injustice that needs to be addressed. We create “small movements’ around “hunks of oppression” that are mapped onto the larger social and health trends and issues. Free standing birth centers are a good example of what I mean. We worked for 20 years on the issue of giving medically underserved women in Illinois access to choice in childbirth. It’s a w omen's reproductive rights issue. There’s a sexual/gender equality dimension. There is a need to oppose vested interests that continue to oppress the public– in this case the obstetrical specialties. It took 20 years to get legislation passed to allow the building of these centers in Illinois. There is now public acceptance of the idea. So the small movement we built within the health policy sphere, to leverage change, is now broadening as we make the next step public, garnering broader support from the public to demand these options in their communities. And by mapping this small movement onto the larger issues of health access for women and for everyone, it becomes more than an example of a hard won victory twenty years in the making, serving as both a motivator and an example of change in process. It really is movement-building on multiple levels. Social media tools will play a large role in getting the word out and mobilizing small groups and the public for progressive policy change. Says Karin in a follow up email shares, "Beginning that discussion has led to a powerful "small movements that feed change on a large level" framing that is helping us as we move forward. It also is helping steer us to use social media for the "right" part of the equation." The Fine Line Between Personal and Personality: Is Being A Human Unprofessional? Today was the first day of school in a new school for my kids. What's new can be scary, very scary. 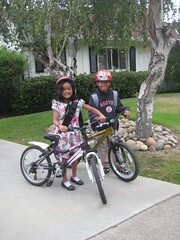 I know my kids were a little nervous as they waited in the school yard ready to start their first day. It's new territory. This is a new routine, new teachers, new friends, and new bicycles! We're close enough to ride bicycles to school - and so almost every day for the past few weeks we've been rehearsing the ride. This morning was the big day! Reputation for accuracy, quality, and professionalism will be damaged if the organizations shows its human side. There's a fine line between personal and personality and being human and being professional. This seems to be the theme that is happening the comment thread over at Sean's Tactical Philanthropy blog in the comments about his Learning From Foundation Tweets post. I asked Sean, why are we so scared of showing our human side? Sean felt that the definition of professional in our culture is about stripping out our individual personalities. He feels that it is mistake. Kivi Leroux Miller, in the comments, thinks that being human engenders trust. "If you think about knowledge or wisdom coming from looking at information and experiences from a certain perspective, then I think we need to see some of that human side to really appreciate that perspective and to trust it – if that makes sense." It is also important not to set too many rules about "personality" or we risk becoming Stepford Wives or unauthentic. It does help to have a general philosophy and guidelines might help. And, aside from Wendy Harman's "Don't embarrass your mother rule," there the balancing act. You don't just want to blog about your pets and children all the time. My rule for blending in personality is to always link it back in a way to my professional areas of interest. It's funny, one of my most popular and highly rated posts was about celebrating my 22nd wedding anniversary and sharing advice about blogger cultivation. So, like the first day of school at a new school and new routine, blending in personality might be a little uncomfortable or scary, but it can also make your social media strategy more effective. Agree? How has your organization grappled with the fine line between personal and personality? Note from Beth: In response for my call for guest posts on movement building, Cheryl Contee pointed me to her terrific case study about Mom's Rising. 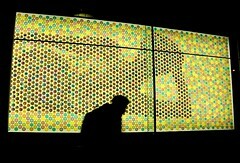 This post was originally published on the Fast Company Blog and is being republished her with permission. The original can be found here. 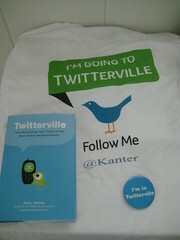 I just got back from BlogHer, the largest gathering of female bloggers in America. It's the 5th year of the conference and has grown from a scrappy, homegrown, volunteer effort to a nationally renowned, corporate-sponsored conference. I had to pack an additional bag because of all of the swag given away. Brands like Disney, HP, Chevy, Eucerin, Wal-Mart, Pepsi and many more all competed for the eyes, ears and keyboards of women from around the nation. It makes sense: women account for an estimated 70% of all U.S. retail purchases. Moms are more powerful than ever, thanks to Web 2.0. According to Katie Couric who recorded a special clip from the set of CBS Evening News for BlogHer 2008 (as seen above), 36 million women write or read blogs each week. I was there because 46% of mommy bloggers have contributed to a cause or a political campaign. My firm Fission Strategy specializes in providing social media savvy online strategy & services to leading nonprofits and foundations. One of our clients, MomsRising.Org, has successfully tapped into the power of the mommy bloggers and I went to BlogHer to further those connections and to learn more about what moms online are interested in. With a few keystrokes, any well-connected mommy blogger can mobilize an army of other advocates to support or take down a brand, a cause or public figure. The world of mommy bloggers is unique even among the Web and has its own culture, cliques, leaders, stars and foot soldiers. Founded in 2006, MomsRising.Org is working towards a family friendly America--some of their issues include health care reform, toxins in toys, equal pay and paid sick leave for moms. Fission recently helped MomsRising re-design its Web site to be more friendly to the plugged-in moms and those who love them across the country. This includes a prominent blog, twitter feed, easy ways to share MomsRising content plus lots of photos and videos. We worked with MomsRising recently to help them roll out their customizable video for Mother's Day in which you can embed the name of your favorite mom and nominate her as "Mother of the Year". The video is over-the-top funny and features Brangelina, Beyonce, Barack Obama, and a talking baby. We worked with MomsRising to reach out to mommy bloggers and those discussing Mother's Day on blogs and over twitter. Twitter is the 24/7 backchannel for mommy bloggers, and MomsRising tweeted the video to many moms to encourage peer-to-peer sharing. The results were spectacular: the video gathered over 14 million views in a two-week period. MomsRising's citizen membership went from 140,000 supporters to 1.1 million, thanks in part to innovative blogger, twitter and online partner outreach. MomsRising's story shows how powerful mothers can be when you enlist their support in ways they appreciate and enjoy. You can get up-to-speed with BlogHer '09 through their official liveblogs. Cheryl Contee is a partner and co-founder of the social media consultancy Fission Strategy where she specializes in online advocacy, engagement, and communications. 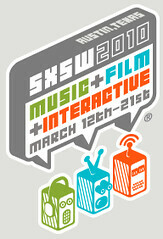 The SXSW Interactive Festival (scheduled March 12-16, 2010 in Austin, Texas) is a mega huge social media industry event. The final program is done through a combination of an open submission and community voting process. The panel picker process just opened - so you can vote yes or no for the panels you think are worthy of being on the program or not until September 4th. 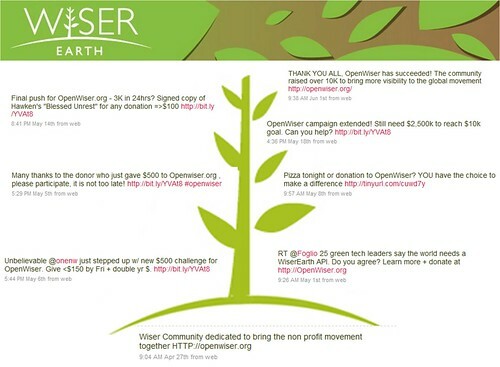 The nonprofit presence at SXSW has been growing steadily over the past couple of years. In 2008, I was on one of the few nonprofit panels on the agenda. It was organized by Ed Schipul. At the end of that panel, we all hoped there would be a larger nonprofit presence on the agenda for this 2009. And yes, indeed, in 2009 there were many more panel proposals about or by folks who work with nonprofits and voting. Last year, many more nonprofit panels made it onto the agenda and there was even a nonprofit lounge hosted by BeaconFire. So, let's get out the nonprofit vote for panels at SXSW! 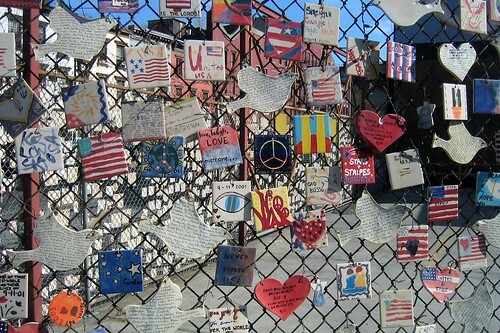 Social media builds buzz and raises money, but what about real, on-the-ground change? The Social Change Challenge will crowdsource innovative ideas from nonprofits to change the world. We'll share big ideas for using social media for nonprofit program delivery and some good tips for crowdsourcing for social change. The panelists include Holly Ross, NTEN; David Neff, American Cancer Society; Kari Dunn Saratovsky; Case Foundation; Amy Sample Ward, Netsquared; and Joe Solomon. And like last year's ROI Poetry Slam, our session will be interactive, thought-provoking, and dare I say, fun! In addition, there's be lots of learning shared freely. Jordan Viator invited me to be a panelist on this panel and I agreed because David Neff is a fellow panelist and I bet Jordan will make him wear an apron! Also rockstar, Carie Lewis, from the Human Society is participating. You've heard the buzz around how nonprofit organizations and corporations are using social media for social good. Now hear from the "real housewives of social media" who are driving successful online campaigns, as well as others who are helping lead the social media revolution. So, yes, please vote for these panels, but ..... There were over 2200 panel ideas submitted and they only have space for 300. I just scanned the list to SXSW in search of nonprofit oriented panels (in addition the two I submitted) and found a number of them for your consideration. Please try to vote for as many nonprofit panels as possible. Advanced Brand Monitoring: Let the Haters Hate: This panel will get into the whys and hows to monitor your brand in a social world. you'll hear case studies of social media disasters and how they could have been prevented, as well as how brands have dealt with potential PR nightmares. Twitterstorm, anyone? 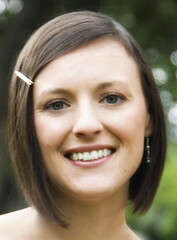 Carie Lewis. Service 2.0: Evaluating Next-Gen Volunteer Opportunity Platforms: Forget about the high school community service club: The next generation of volunteering platforms is here -- from Google's All for Good to the President's Serve.gov. But can they also combat apathy? We'll speak with experts about recent efforts to revolutionize the service space and see what gaps remain. Submitted by Michael Silberman. Change: Examining Competitions For Social Change: Organizations, foundations, even individuals are creating social innovation competitions, hoping to drive social change projects and solutions into the global marketplace. What are these new competitions about—are they working? How do we—innovators, entrepreneurs—know what's going to make real-world impact and where do we start? Let's discuss: join us! Submitted by Amy Sample Ward. Community Funded Reporting: The news industry is dying but in its wake are new business models to support investigative journalism. One of these is "community funded reporting" which is being pioneered by Spot.us but is happening around the country by various individuals. What is it? How does it work? What are its pitfalls? Where does it surpass the traditional advertising model? This will be a conversation that explores the changing media landscape and how the web can rise to the challenge of supporting our communities and their information needs. Submitted by Dave Cohn. Networking Good: How to Win Money and Mobilize People! Social networks are transforming how people support causes, how ideas are shared and how nonprofits raise money. Today’s online communities go beyond posting photos or finding dates—they are building social capital, increasing awareness and raising millions of charitable dollars. Learn from innovators how to leverage the web for good! Submitted by Michael Smith. Can Double Clicking Save the World? Sl’ack-Ti-vism. Noun. Taking action for social change without lifting a finger. As the latest technology allows people to “engage” from their computers/phones rather than getting their hands dirty IRL, will this impact the future of volunteerism? A panel of experts will debate the pros & cons of couch potato activism. Submitted by Jacob Colker. Digital Protests This session will explore the role that social media plays in protests, through the lens of recent events like Iran and the American health care debate. The panel will cover the various tools (YouTube, Twitter, Facebook) that are being used to elevate protests, examine the benefits and drawbacks of the internet's involvement and whether social media makes protests more or less efficient, and discuss the issue of authenticity in information dissemination. 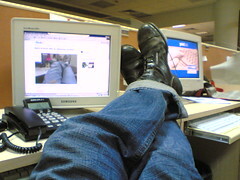 Submitted by Ramya Raghavan. The Socially Conscious Geek: Makin' Money While Doin' Good: Can you make a living as a geek without sacrificing your ideals? Definitely. These pros have carved out a niche working with mission-driven, ethical clients in both the non-profit and for-profit sectors – and want to show you how to bring your values to work while keeping a roof over your head. Submitted by Leif Utne. Non-Profits and Social Media: Not the Usual Suspects: A panel of 5 nonprofit leaders, social media monsters, and how they leverage their social networks, to advance their respective organizations missions, collaborate with one another and use social media for social good. Submitted by David Neff. Handheld Awesome Detectors: Sustainable Apps Making more sustainable choices is getting easier with help ubiquitous information, thanks to passionate geeks. Check in with the game changers beautifully hacking tech to fight climate change. Learn direct what it takes to change behavior at the plug, grocery, sushi bar, and tractor. Submitted by Rachel Weidinger. Connecting Communities for the Common Good: Owning Online Organizing When community transcends “place,” how do you create dynamic online spaces for activists to connect and take action? How do you use the latest technologies to build active networks and roadmaps for action? How do you balance online action with offline engagement? Come to this session and find out! Submitted Kari Dunn Saratovsky. LIVESTRONG: The Lance Armstrong Foundation Takes Advocacy Digital : LIVESTRONG has taken the fight against cancer digital, connecting people and communities to drive social change. Using new media tools, we’re recruiting people around the world to build a grassroots movement to help raise awareness, fund research and end the stigma many cancer survivors face. Come hear how we’re changing the world. Submitted by Doug Ulman. Doing More With Less: How Not-for-Profits Leverage Technology for Change: They've won Webby Awards. The sites attract millions. And the user-adoption numbers are ridiculously high. How is it that not for profits are managing to use communications technologies to rock social change--when they've got pennies to spend? Ami Dar and Nancy Lublin, two social change leaders, present best practices and spot current trends. Submitted by Nancy Lublin. Museum APIs: What Are They Good For? In Museums, context can be hard to come by. We have basic metadata but the richness of object records is so varied that it ultimately limits use of collections information. Cultural institutions are increasingly developing APIs and linked-data repositories. Who are these for? And what can we build with them? Submitted by Piotr Adamczyk. Social Change for Zero Dollars a Day Using Social Networks: Join SM4SC's co-founders, Gradon Tripp, Meg Fowler and Matthew Knell as they talk through their experiences raising money for needy charities with no fixed budget. Topics covered include pro-social brand development, the real value of social capital and networks and harnessing social media for good. Submitted by Gradon Tripp. 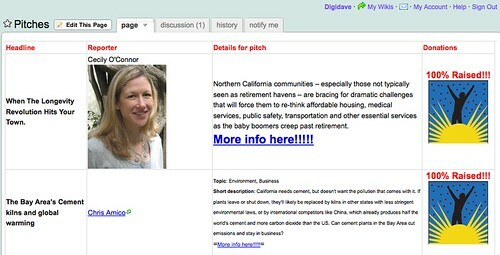 Will Kiva Kill Your Nonprofit? Donations 2.0: Connecting donors directly to the beneficiaries of contributions is a game-changing fundraising strategy. Will traditional nonprofits need to adopt new technologies and fundraising models as donors demand greater accountability for their funds? This vibrant, moderated discussion will include representatives from Kiva, OptINnow, and 2 national advocacy organizations. By Skylar Woodward. Generation Y and the Future of Nonprofit Communications Generation Y engages more frequently and deeply with nonprofits than any previous generation. Bleeding edge technology has allowed for nonprofits to reach millions of people with nonexistent budgets. This panel will go over success stories from nonprofit organizations and professionals. Learn the secrets of social media, interactive technology, and grassroots support. 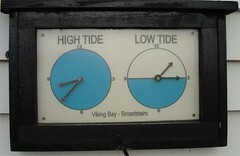 Submitted by Sarah Davies. Yoga For Social Networkers: Striking The Right Pose: There are hundreds of social networks, but only one you. Instead of overextending yourself, you need to bring focus on the important things and let go of the rest. Learn how to center your social media practice and balance your online activities. Bring your yoga mat! Submitted by Amadie Hart. Open Leadership: The Upside of Giving Up Control: A social or digital strategy often fails because the culture doesn't support it. The rise of participation puts pressure on an organization's traditional way of doing business. A new way of leadership and managing is needed, called "Open Leadership". New technologies make open leadership not only possible, but a necessity. Submitted by Charlene Li. So please go vote! If you submitted a nonprofit panel for SXSW and I missed it, please share the link and title in the description. I'll do another round up in the next week or so. Note From Beth: A few weeks ago, I wrote a reflection on an article in CNET called "Crowded Roads Ahead for Charity 2.0" based on an interview with Toby Daniels of Think Social and Scott Harrison of charity:water. Many people left comments reflecting on how the landscape has changed for fundraising on social networks, including James Wu from Acumen who graciously expanded his thoughts into this guest post. I work at Acumen Fund and I manage the organization's social media work. 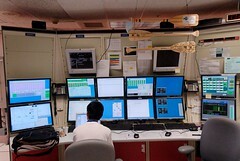 The CNET article struck an anxiety point for many of us who work in the trenches. We're really excited about the mention of the new charity:water website! Making it easy for people to give to a cause by integrating charitable actions into the activities, routines, and habits of daily life is brilliant. It's a small step up the ladder of engagement and won't necessarily lead to true education about an issue and offline engagement, but that marginal increase in awareness has a lot of potential for deeper levels of engagement. Recently, a few staff members here just started experimenting with Birthday Wishes on Causes and were shocked at how easy it was for each of them to raise $200 from their networks without really lifting a finger. Your posts on Birthday Wishes definitely helped give us the courage & a blueprint to dive in, but it is only one rung on the ladder of engagement. There was one hypothesis made in the CNET article that I found curious: "At best, donations could be spread too thin, rendering many organizations less effective." It could just be a matter of word choice, but I felt this was a bit of a leap. If fundraising is the only measure of what makes an NGO effective, then I worry about what the real value proposition is of organizations soliciting donations. We are seeing a real movement behind social enterprise & social entrepreneurship due to the sector's embrace of transparency and accountability. What determines success, failure, and impact has much more to do with how NGOs are ensuring the sustainability & scalability of their programs, grantees, or investees. Again, I think it was just a matter of wording and taking an excerpt slightly out of context. We certainly can't achieve any of these things without sufficient capital, but effectiveness is a measure of so many more variables. One quote from the article related to Cause fatigue caught my eye. "If one tweet after another is seeking donations, people might just get fed up." This is absolutely true and the reason why we must lead with a value proposition that is transparent, and clearly articulates how impact and long-term sustainability will be achieved. At the end of the day, organizations have to earn the right to ask. They must ask "Have we provided enough value, and demonstrated enough proof behind our model or concept to ask people to give?" The article also talks about scaling issues for charity:water "...their biggest problem now is scale...You need staff, you need operational resources, you need to have all your business systems in place..." I think this was a really interesting and insightful observation by Toby. I'm not sure that charity: water's biggest challenge is scale, as it is demonstrating impact and long-term sustainability. There is no shortage of people in this world who have an appetite for helping provide safe drinking water to those without it. And assuming charity: water remains brilliant at marketing and communications, there will be no shortage of brilliant, talented, well-connected, well-resourced individuals who will line up to help them raise an infinite source of capital as long as they can demonstrate impact and sustainability of their solutions. I don't think we can underestimate the power of volunteerism in providing the resources and business systems that a non-profit needs -- especially volunteerism that breeds true leadership. As long as you have the proper infrastructure to support your community of proselytizers, scale becomes relative. I absolutely agree on the need to work in networks of organizations. In addition to social networking infrastructure and channels, we're looking to build networked tribes of supporters and advocates all around the world. Based on the success of our all-volunteer Young Professionals group in NYC that's developed over the past year, we are thinking of launching chapters worldwide to help us with our mission of changing the way the world thinks about "the poor" and tackles poverty. Stay tuned to Acumen Fund's blog for more news on this soon! I think Jill Finlayson's ideas on "thought leadership" are also key in rising above the noise and clutter. Organizations must establish themselves as a trusted source. And we have to remember, one of the things that makes Twitter, Facebook, and social media great is that it's easy to opt-in and opt-out. The power really is with the people, so things only have to be as noisy as you want them to be or have tolerance for. I'm going to sound like a broken record here but to address cause fatigue and to create a real movement, organizations must ultimately demonstrate the impact and long-term sustainability of their work. Our challenge at Acumen Fund is making the concept of Patient Capital one that is generally accepted as an effective way of fighting poverty. Unfortunately, patience and complexity aren't the sexiest or most marketable ideas. But, we feel that people are beginning to wake up to the fact that there are no silver bullets and that complex problems require complex solutions that don't happen overnight. This doesn't mean operating without a sense of urgency, but instead eliminating unproductive dogma and polarization. Movement building is all about relationship building techniques as Beth mentioned in her reflection. Social media offers some great tools, but the rules for relationship building don't change. The challenge is creating a high touch experience online as well as off. James Wu is a Communications Associate at Acumen Fund where he works with new media and community engagement. He enjoys the process of cutting and peeling fruit, and likes to reward himself with milk and cookies before bed.